New Maruti Ciaz Video Review: Should the competitors be worried? 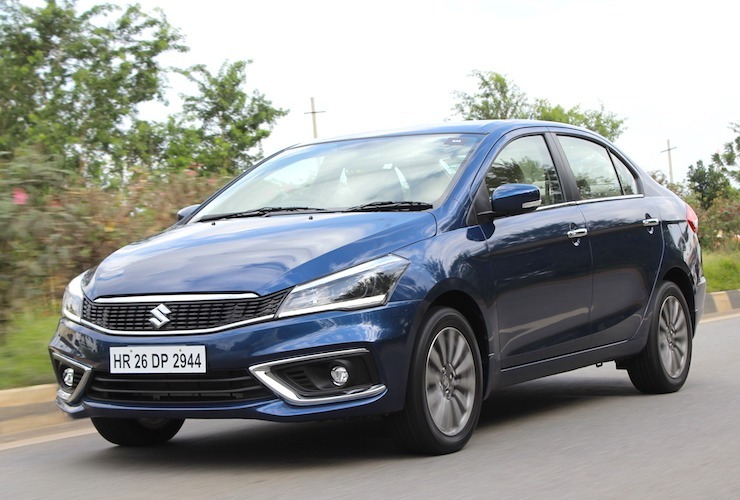 New Maruti Ciaz Video Review: Should the Honda City & Hyundai Verna be worried? 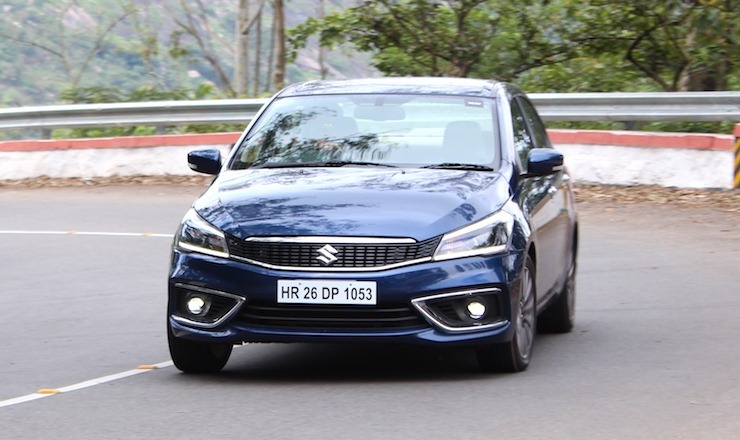 Maruti launched the first major facelift of the Ciaz earlier this week, and we drove the car extensively around the picturesque locations of Karnataka to bring you our verdict on this Honda City and Hyundai Verna rival. With prices (ex-showroom) ranging from Rs. 8.19 lakh for the petrol line-up and Rs. 9.19 lakh for the diesel range, should you be taking a note of this new Nexa offering? Hit the play button right now! 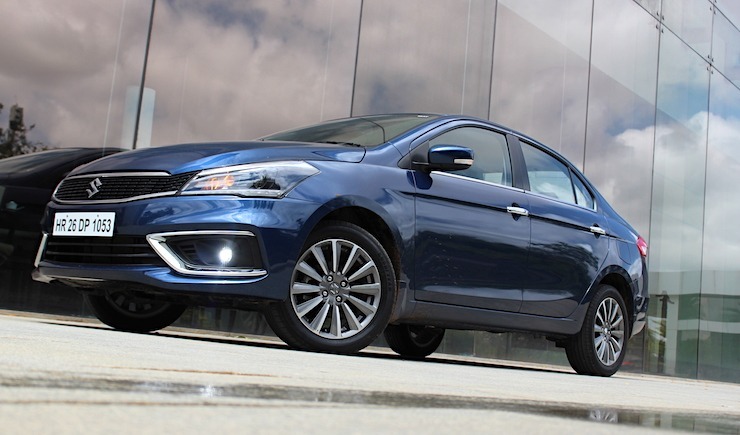 The new Ciaz is more than just a facelift and this begins from the exterior changes itself. 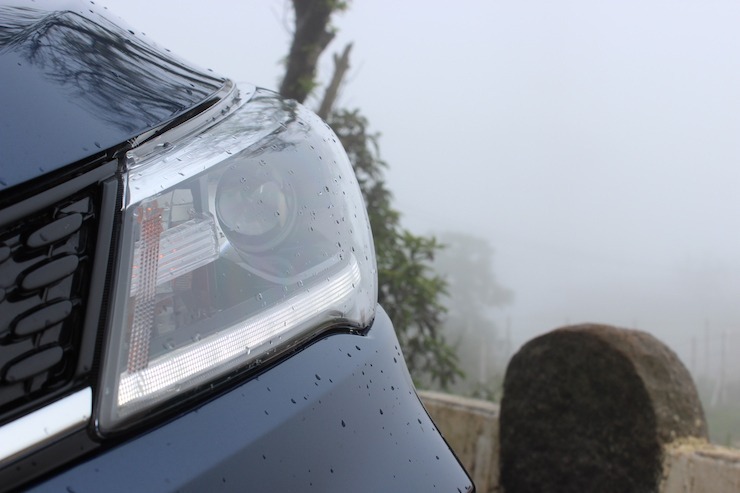 Up front, the car wears a sleeker, more premium look and this is due to the new grille, tweaked lamps and introduced LED set-up of the lights, DRLs and fog lamps. We Indians love a dash of chrome and this is found in abundance here as well. Bumpers at both the ends are new and so is the chrome package for the fog lamp housing. The same gets replicated at the rear as well. 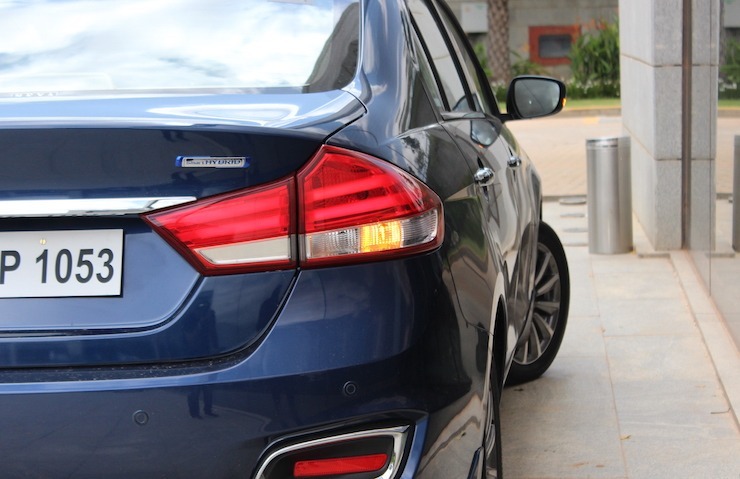 Talking of which, the new Ciaz gets LED treatment for the tail lamps and these do remind us of the old BMW 5 Series. Alloy wheels on the top spec Alpha version get revised styling while the other models continue to get the regular design. The Ciaz you see here wears the Nexa Blue shade and looks nice in my opinion. In terms of dimensions, there is no change as compared to the outgoing version. Step inside and you continue to get the same airy feel, something that goes down well with family buyers. 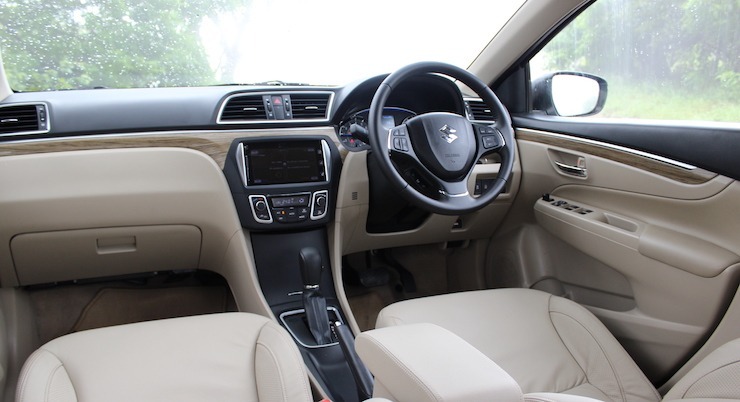 The Ciaz is still the most spacious car in the segment and the new version gets additional kit in the form of faux wooden inserts on the fascia and the doors, cruise control and a new TFT screen in the speedometer console. This is only offered in the petrol line-up and gets new dials for the pods. Looks sporty! The engine is less powerful than the petrols offered by the Honda City and Hyundai Verna. This said, the real strength of the new motor is in the way it builds up speeds from lower engine speeds and this makes it a great city tool. In fact, in spite of the a 4-speed auto (as compared to 5 or 6 or CVT for rivals), the A/T Ciaz does not feel under-powered, nor does it run out of breath on open roads. Both the A/T and M/T do similar speeds in their top gears at 2000rpm – roughly 82 as per display. The new K15B engine also performs well when given the stick. While it will not be able to overshadow the Honda City 1.5 petrol or the Hyundai Verna 1.6 petrol, it will keep most owners happy, more so due to its frugal nature. Being a Ciaz owner back home, I also feel that engineers have tweaked the suspension, aiding both comfort and stability at higher speeds. While the diesel range is slightly more affordable than the outgoing models, the petrol line-up has seen a hike and this is primarily due to the Smart Hybrid addition. Even then, the Ciaz manages to play the pricing card rather well and ends up being the most affordable in the segment. And with improvements across parameters, this new Maruti seems all set to regain its crown as the best C-segment car in India.